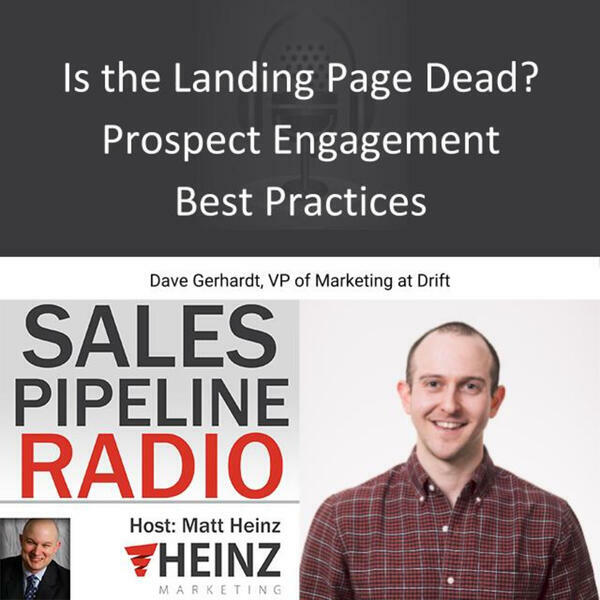 Definitely check out: Hyper Growth Marketing Sales Conferences Drift.com https://www.getmyresponsetime.com/ https://www.reallygoodchatbots.com/ More from our guest: Hey, I'm Dave Gerhardt. I'm VP of Marketing at Drift and I've spent the last 7 years learning at SaaS marketing companies in Boston, including HubSpot and Constant Contact. During that time, I've launched products that have made it to the top of Product Hunt, created a top five business podcast on Apple Podcasts, landed multiple features in the New York Times, created a deck that Andy Raskin called "The Greatest Sales Pitch I've Seen All Year," and helped create the category of Conversational Marketing. I love building an audience and getting the right people to pay attention.